Whether you are completing a sewing project entirely by hand or sewing one by machine that may require small amounts of hand stitching- there are two common types of hand sewing stitches that are valuable to know. 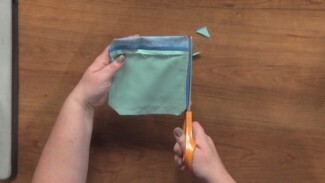 Ashley Hough shows you how to do the running stitch and the back stitch. Preparing your fabric for both of these types of hand sewing stitches will depend on where the stitching is being used- however in general, you would begin by placing your fabric with right sides together. Ashley first demonstrates how to do a running stitch which is a common stitch used for basting. She explains that she is using two strands of thread together but points out that you can also do a running stitch with a single strand of thread- especially if you are doing a basting stitch that is later going to be removed. Ashley then shows how to begin by inserting your needle into the fabric and bringing it through to ensure that the knot catches securely in the fabric. She then demonstrates where and how to insert the needle into the fabric to complete the running stitch. 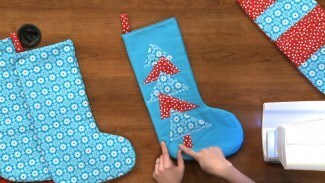 Ashley explains that this hand sewing stitch can be done in several different lengths. She also demonstrates how several running stitches can be loaded onto the needle at the same time to make the stitching go faster. The second of the hand sewing stitches that Ashley demonstrates is the back stitch. She once again demonstrates how to begin by ensuring that your knot catches and then begins making the stitch. Ashley shows where and how to insert the needle in the fabric to create the stitch and gives tips on how to keep the stitch even. While demonstrating both of these hand sewing stitches Ashley explains how they differ and when and why you would want to choose one over the other. 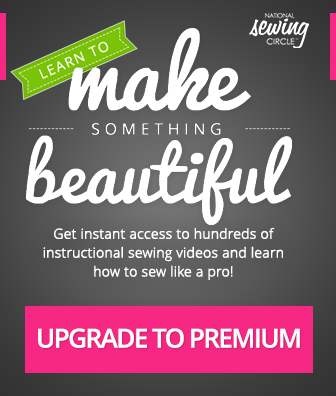 Once you have mastered these skills move on with more videos to improve sewing skills.